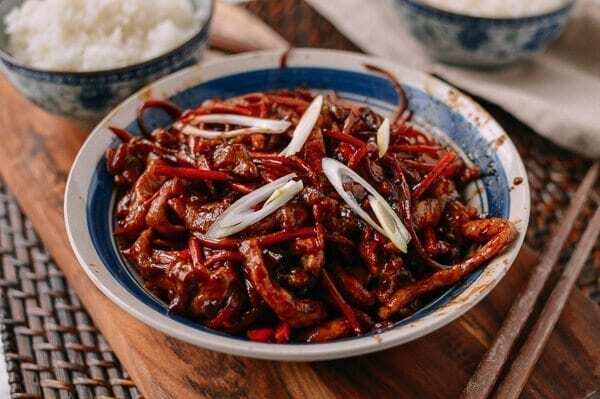 Shredded Pork Stir-fry with Sweet Bean Sauce (京酱肉丝) is a dish from Northern China. It should be said that Northerners love bean sauce (酱, jiang). 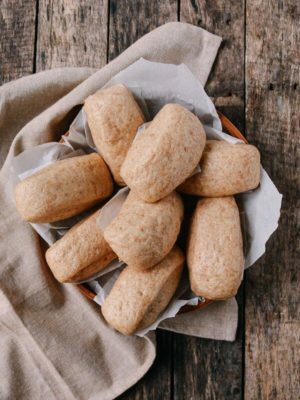 In the old days, for a Northerner, a typical nice meal would be two raw big green onions dipped in 酱 (jiang) to go with a couple of steamed white buns (馒头, man-tou). 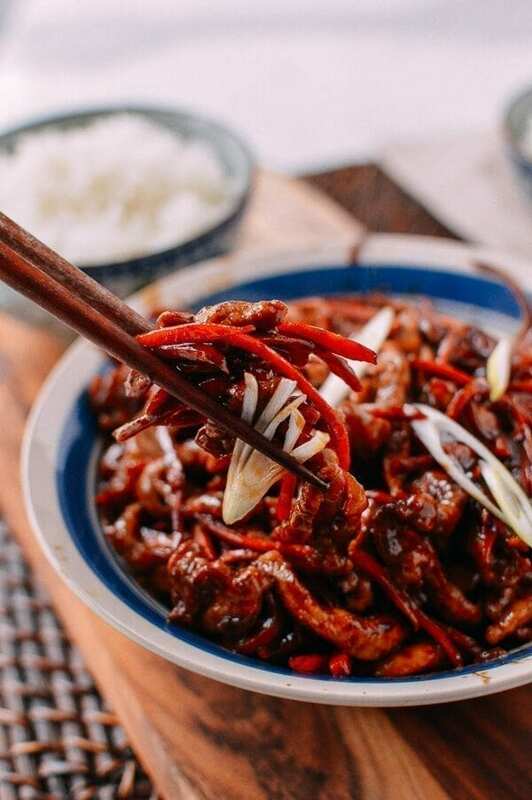 Besides this Shredded Pork Stir-fry with Sweet Bean Sauce, the other two better known applications of 酱 (jiang) are probably Peking Duck and Beijing Fried Sauce Noodles (炸酱面). 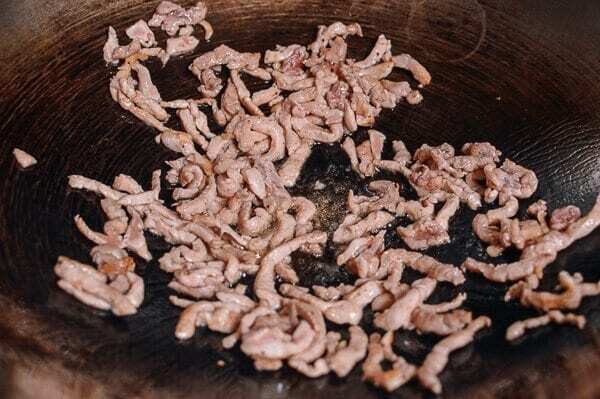 If you are familiar with this dish, you might look at the opening photo and wonder, “what is Judy up to now?” because in the traditional version of this dish, there’s usually only shredded pork. Why bother adding carrots? 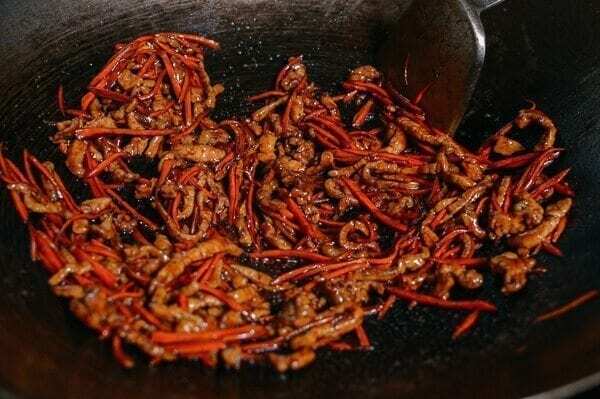 Long story short, here at the Woks of Life, it’s our mission to bring you traditional recipes, but as you also know, we’re not afraid to improve on tradition! Before I give you an answer to your pressing questions about the carrots, let me just say that this is a very “smart” dish. 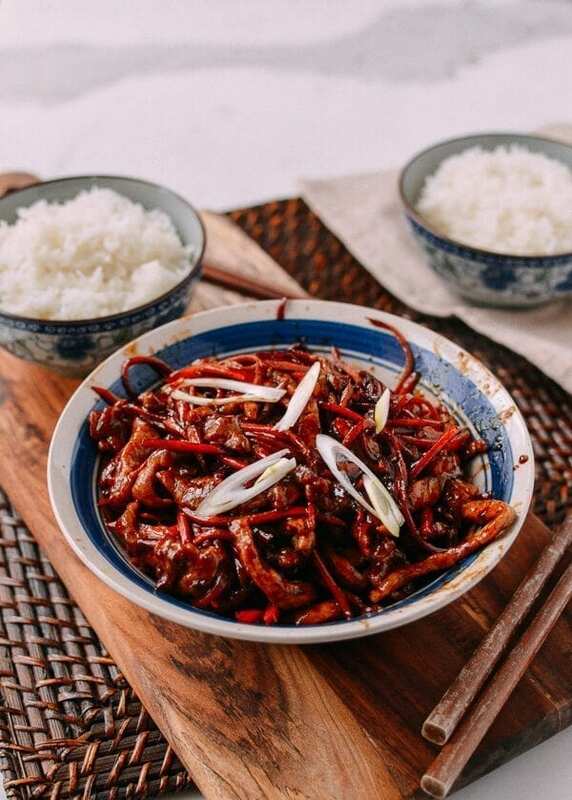 By combining the quick stir-fried shredded pork with savory sweet bean sauce, you get the best of both worlds: tender juicy pork in a sauce that tastes like it’s been cooking for hours. 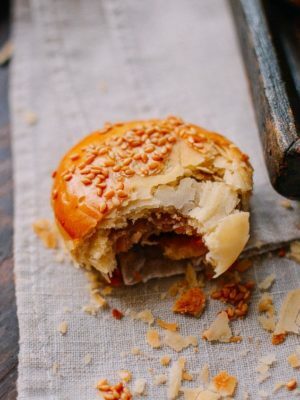 It’s culinary magic at its best. As for the carrots, I decided to add them because I think carrots really add some natural sweetness that’s needed for the dish. The carrot also does not generate any additional liquid (like other vegetables might), which would dilute the taste–a big no-no in this case. 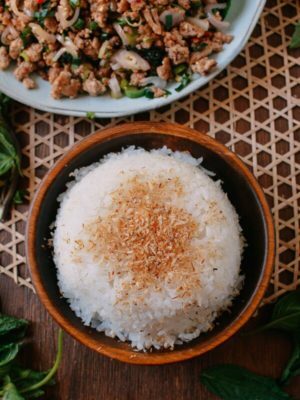 So at the end of the day, you’ve got a beautiful dish–luscious pork with the perfect blend of natural sweetness and savory sweet bean sauce, perfect over a bed of white rice. 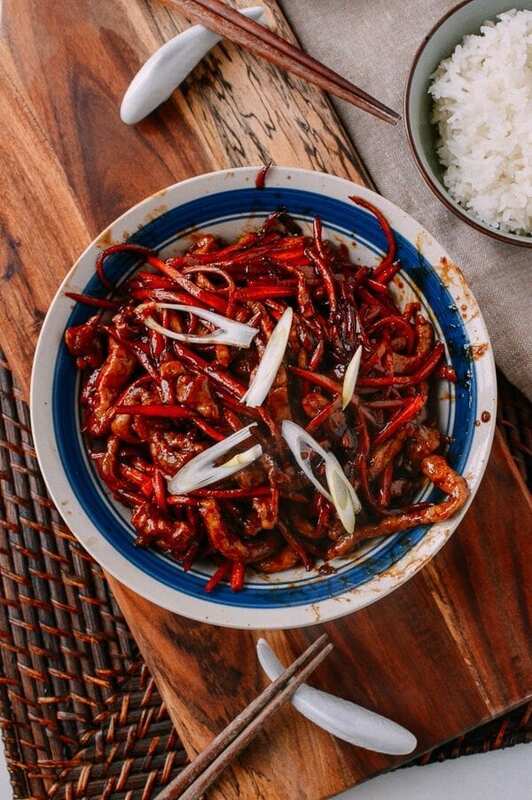 But I should say that you can also serve this shredded pork stir-fry dish with mandarin pancakes (a homemade version can be found in our Easy Peking Duck recipe). 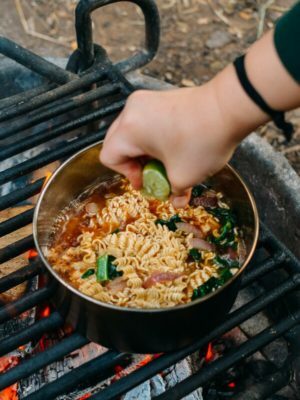 If you do, don’t forget to include a few pieces of julienned scallion–white portions only–like a true Northerner would do! 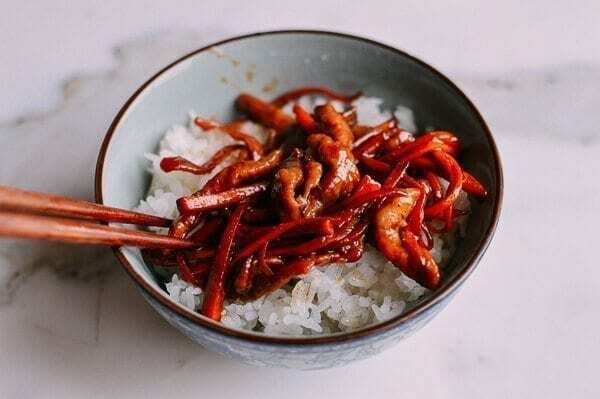 In a bowl, add the pork along with ¼ teaspoon salt, 1 teaspoon Shaoxing wine, 1/8 teaspoon ground black pepper, 2 teaspoons cornstarch, and 1 teaspoon vegetable oil. Let marinate for 15 minutes. 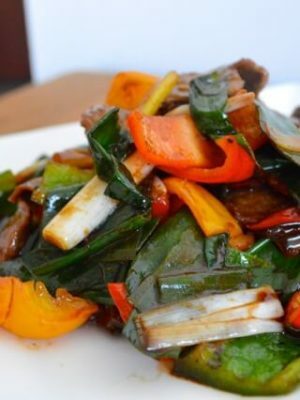 In a separate bowl, make the stir-fry sauce by combining 1/4 cup water, 2½ tablespoons sweet bean sauce, ½ teaspoon dark soy sauce, ¼ teaspoon dark vinegar, 1 teaspoon sugar, and 1 tablespoon light soy sauce. Mix everything together until the sugar is dissolved completely. Set aside. Now we are ready to cook! Heat 1 tablespoon of vegetable oil in a wok over medium heat. Add the carrots, and cook for about a minute. Transfer to a dish and set aside. Be careful not to overcook them–the carrots should still be crunchy. In the same wok, heat 2 more tablespoons of oil over high heat. Once the oil starts to smoke slightly, add the marinated pork, and give it a quick stir. Once the pork turns color from pink to white, turn down the heat (to avoid burning). Transfer the pork to a separate bowl and set aside. At this point, the wok should still be glistening with oil. 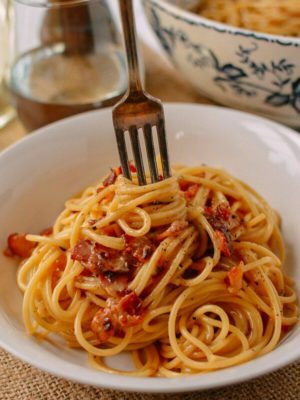 Pour in the sauce, turn up the heat, and stir the sauce quickly for a few seconds–it should be bubbling. 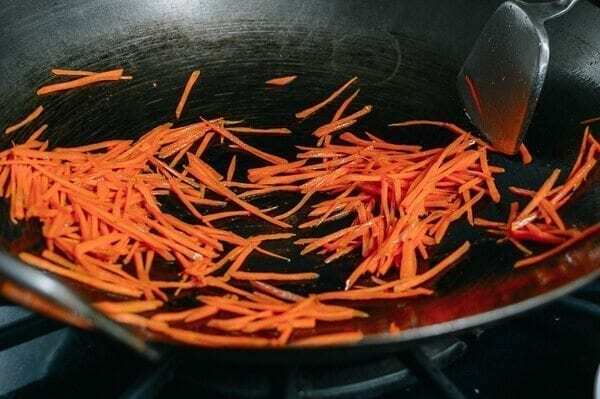 Toss the carrots and the pork back into the wok, quickly stir-frying to combine. 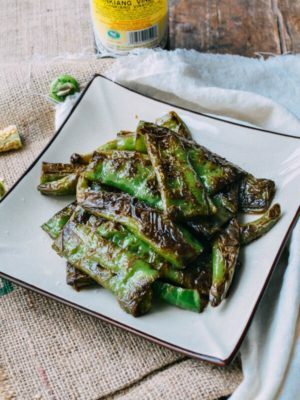 Once everything is well-coated with sauce, turn off the heat, dish it out, and garnish with scallions if desired. 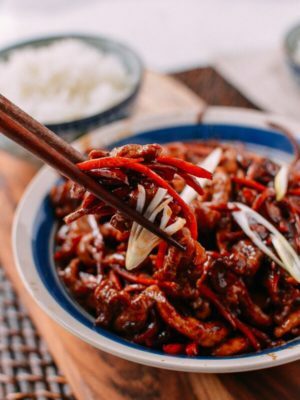 Serve this shredded pork stir-fry with sweet bean sauce hot out of the wok with rice or with Mandarin pancakes! 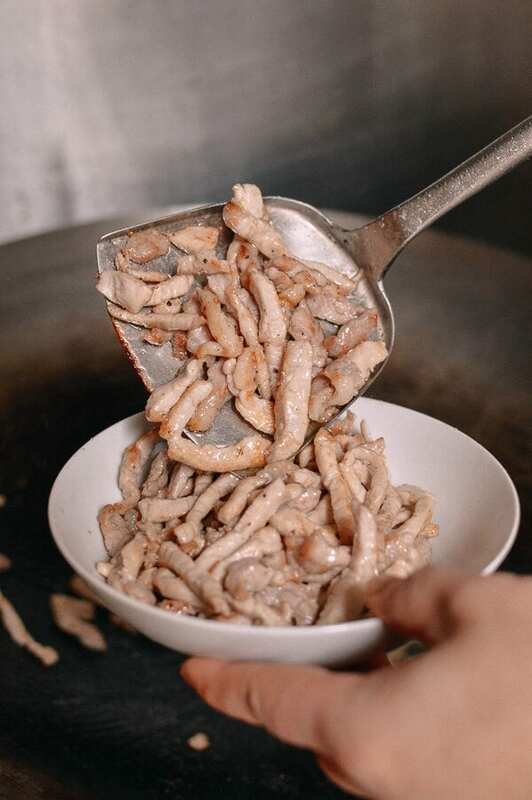 In a bowl, add the pork along with ¼ teaspoon salt, 1 teaspoon Shaoxing wine, ⅛ teaspoon ground black pepper, 2 teaspoons cornstarch, and 1 teaspoon vegetable oil. Let marinate for 15 minutes. 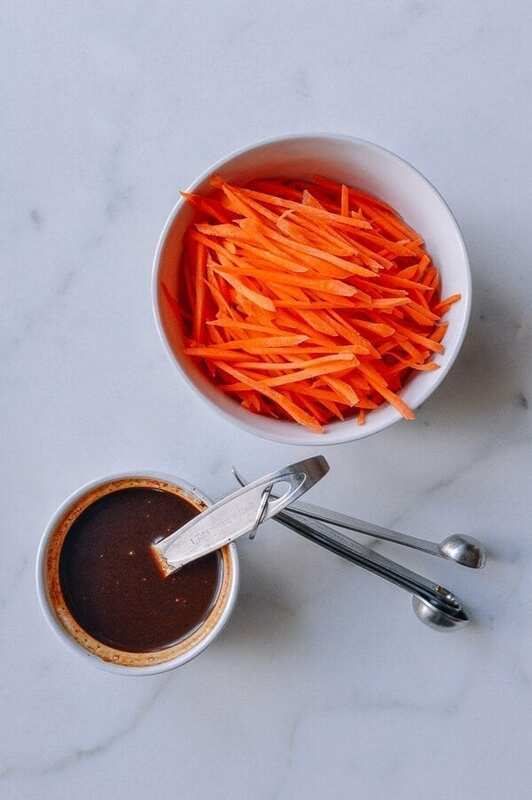 In a separate bowl, make the stir-fry sauce by combining ¼ cup water, 2½ tablespoons sweet bean sauce, ½ teaspoon dark soy sauce, ¼ teaspoon dark vinegar, 1 teaspoon sugar, and 1 tablespoon light soy sauce. Mix everything together until the sugar is dissolved completely. Set aside. Now we are ready to cook! Heat 1 tablespoon of vegetable oil in a wok over medium heat. Add the carrots, and cook for about a minute. Transfer to a dish and set aside. Be careful not to overcook them--the carrots should still be crunchy. In the same wok, heat 2 more tablespoons of oil over high heat. Once the oil starts to smoke slightly, add the marinated pork, and give it a quick stir. Once the pork turns color from pink to white, turn down the heat (to avoid burning). Transfer the pork to a separate bowl and set aside. At this point, the wok should still be glistening with oil. Pour in the sauce, turn up the heat, and stir the sauce quickly for a few seconds--it should be bubbling. 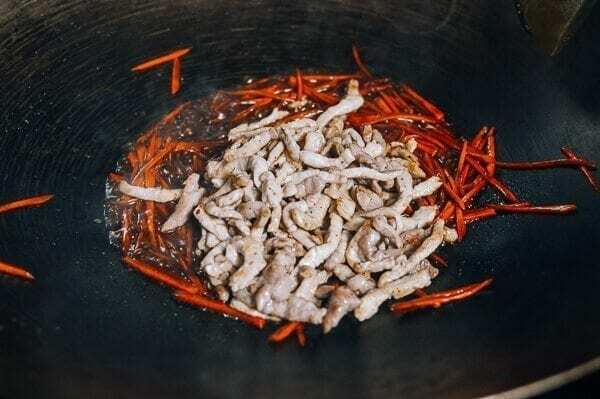 Toss the carrots and the pork back into the wok, quickly stir-frying to combine. 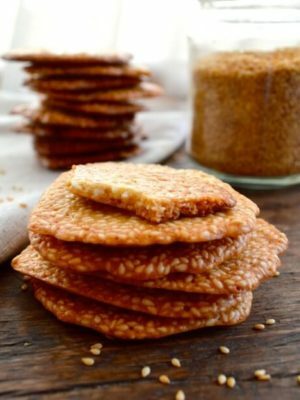 Add a few drops of sesame oil. 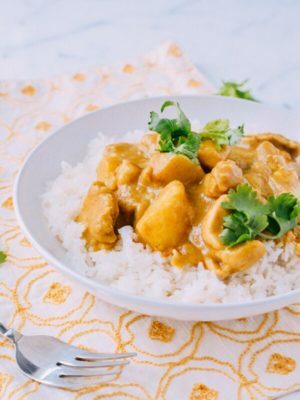 Once everything is well-coated with sauce, turn off the heat, dish it out, and serve hot with rice! Garnish with scallions, if desired. I made this dish last week for the fourth or fifth time and it was always delicious. This time I remembered, that I still had some home made carrot oil I made earlier this month and I tried to make the dish with carrot oil instead of regular oil. This way it became even more delicious. Hi Chris, I’m so happy to hear that. Glad that you are enjoying this dish. I made this tonight and the family gave me their thumbs up. They loved this dish! There was plenty of sauce so I added green beans. 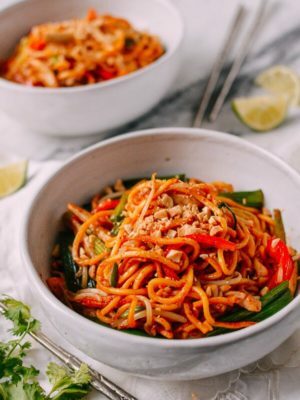 Another great recipe from The Woks of Life. Thank you! 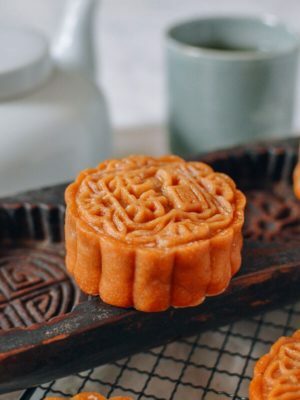 On a slightly different note, what is the difference between ground bean sauce and sweet bean sauce? So great to hear about your success, Verna! Both ground bean sauce and sweet bean sauce are ground pastes. Bean sauce is salty and savory; sweet bean sauce is sweet and savory. Both sauces are ready to eat. 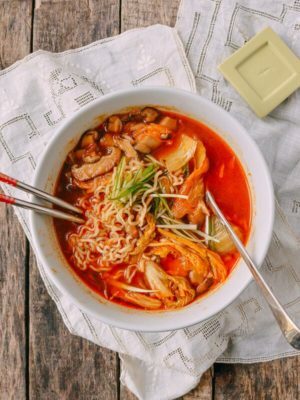 If I make this tonight, and set some unseasoned pork aside, could I add it to your 20 minute pho tomorrow? It will be my first time trying either recipe, but I’m so excited! Aaaaah, this was so good!! This meal got an enthusiastic two thumbs up from three young kids & my hubby. My 5-year-old even happily ate scallions. I was able to slice the meat & mix the sauce in the afternoon, and then at dinnertime I only needed to cook. I didn’t have a carrot so I used cabbage instead, but I wilted the cabbage too much. Next time I’ll try a carrot. The pork was super tender, and the sauce & scallions were wonderful. 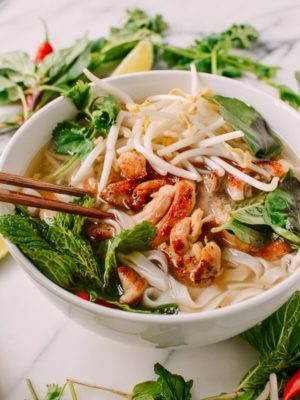 Tomorrow night: pho Thai! Hi Katie, so glad you tried it and loved it. I just made this. I knew I was going to like it so I doubled the recipe. The sauce is fabulous! The meat was so tender! I’m not a fan of cooked carrots so I left them out. Silly me I forgot the green onion… Next time, I’ll remember them. 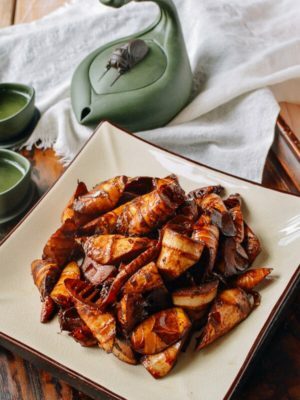 I think water chestnuts, celery, and/or regular onions would work well with this recipe. Also, the next time I make this (and there will be a next time), I won’t double the salt if I double the recipe.